Use our Local Foods Wheel to discover what foods are in season and when for our Northwest region. Eating what’s in season ensures that you get the freshest, most nourishing food available. 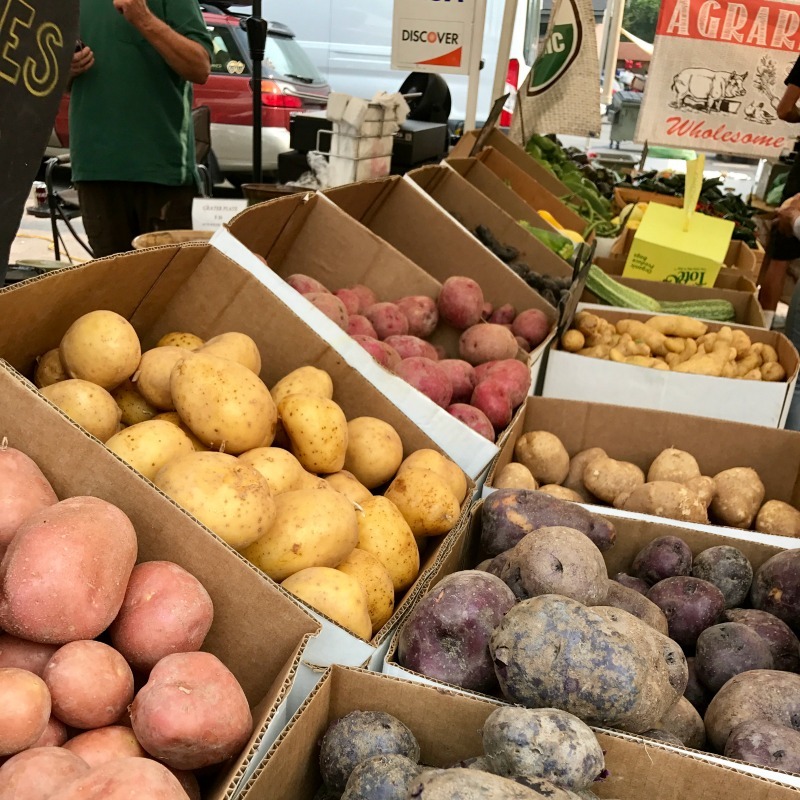 When you buy food that's at the peak of its supply, it can save you money and helps our local and regional farmers. supports our health and our farmers. But how do you know what to choose? 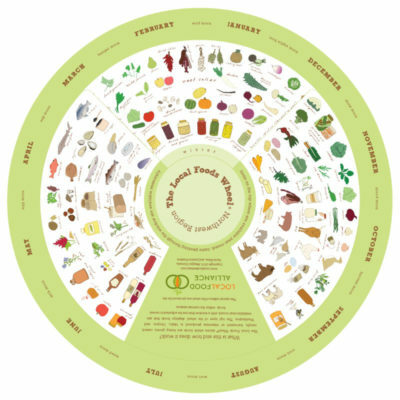 Consult the LOCAL FOODS WHEEL – just align the top wheel’s window with the current month and consult the colorful pictures of “foods that are farmed and foraged” in your region. In fall 2015, LFA contacted Local Foods Wheel Creator Maggie Gosselin and offered input for a Northwest version. 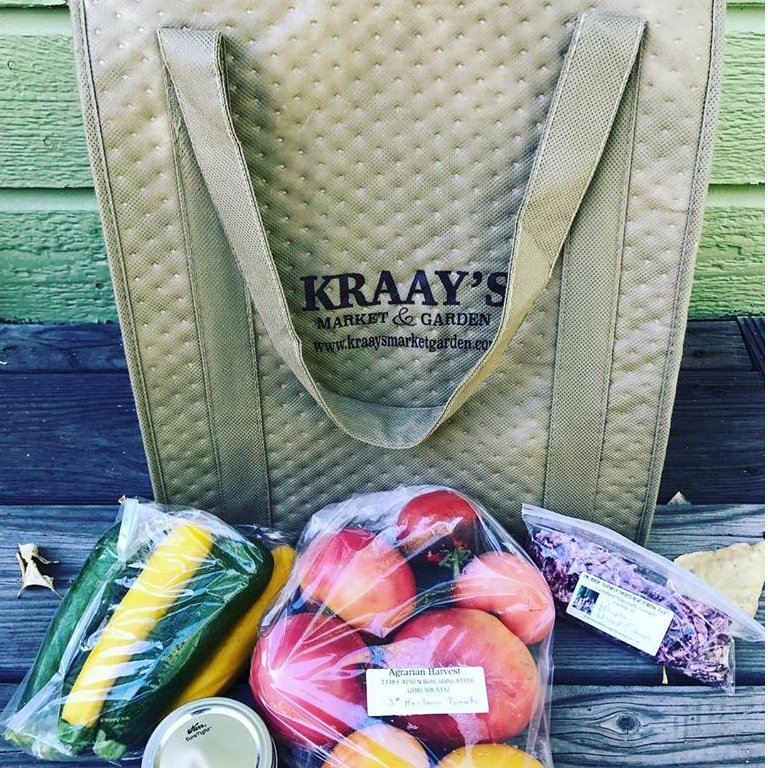 We connected her with Amy Mattias, then employed at Idaho’s Bounty, Lauren Golden, extension educator at University of Idaho, and Chrissie Huss of Edible by Design – and the NW version was born! The Northwest wheel shows foods sourced from Idaho, Oregon and Washington as well as from coastal waters. The 12-inch paper wheel looks lovely on any kitchen wall; the exhibition size is a beautiful and informative educational tool. Make a $15 or more donation to LFA and you’ll receive a 12-inch paper wheel as our thank you! Contact Ali for details.